The pedestrian was transported to Long Island Community Hospital in East Patchogue for treatment, police say. 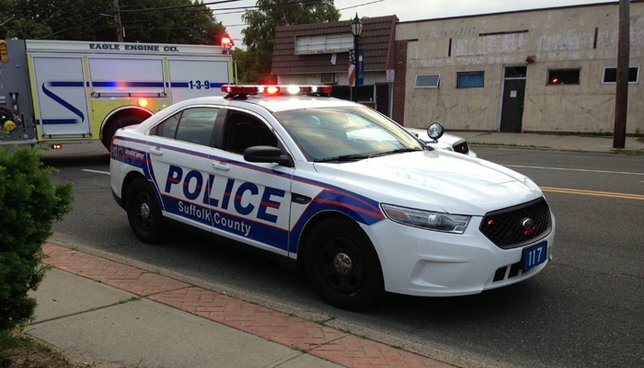 SCPD are investigating a pedestrian crash in East Patchogue. East Patchogue, NY - November 19, 2018 - Suffolk County Police Fifth Squad detectives are investigating a pedestrian crash that seriously injured a man in East Patchogue on Friday, November 16. Tiffany Upton, 28, of East Patchogue was operating a 2014 Infiniti eastbound on Oak Street when the vehicle struck a male pedestrian in front of 258 Oak Street at approximately 8:50 p.m. The pedestrian was transported to Long Island Community Hospital in East Patchogue for treatment of serious injuries. His name is being withheld pending notification of next of kin. Upton, 28, of East Patchogue was uninjured and remained at the scene. The vehicle was impounded for a safety check. The investigation is continuing. Detectives are asking anyone with information on this incident to call the Fifth Squad at 631-854-8552. Subject: LongIsland.com - Your Name sent you Article details of "SCPD: Pedestrian Struck by Vehicle, Seriously Injured in East Patchogue"